THC The Hops Company » Events » Live Music » Cinco De Mayo! 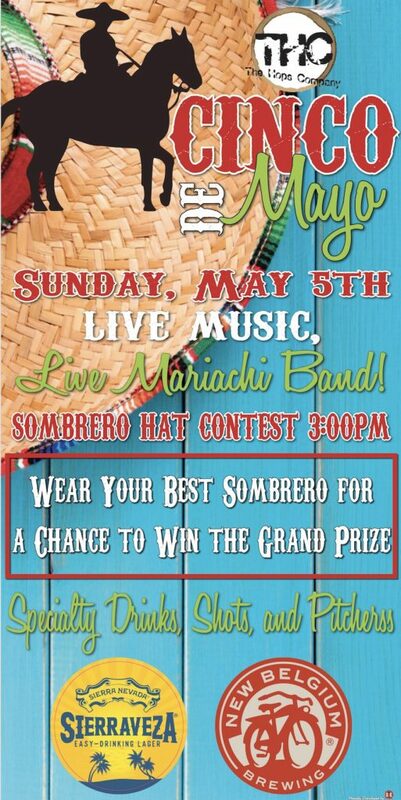 Celebrate Cinco De Mayo with us at THC Sunday, May 5th! 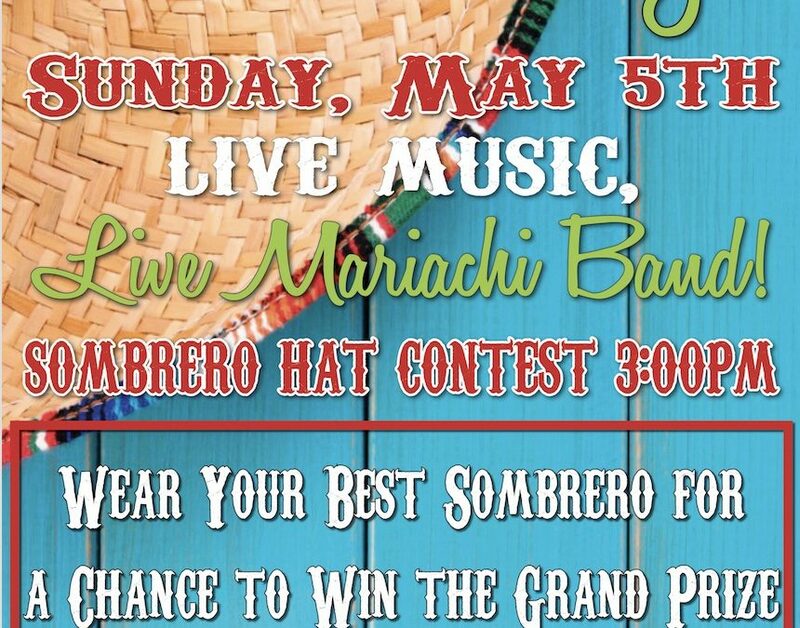 Live Mariachi Band and Sombrero Hat Contest! Wear your best Sombraro for a chance to win a grand prize from New Belgium Brewery. Contest starts at 3:00 PM. Specialty Cocktails, Shots and Pitchers.